(CBS/AP) ISLAMABAD - Pakistan has arrested a French man reportedly linked to one of the masterminds of the Sept. 11 terrorist attack, and who was apparently a key recruiter for the terror group in Europe as recently as 2010. Pakistani intelligence officials tell CBS News that Naamen Meziche was captured in a raid near the border with Iran as he tried to cross into that country. His arrest is another reminder of the country's vital role in the war on international jihadist groups at a time of deteriorating relations with the U.S., security officials said Wednesday. Western media reports have described Meziche as an al Qaeda operative with links to European jihadi groups believed to have been living until now in either Pakistan or Iran. Meziche was allegedly a friend of Mohammed Atta, who piloted American Airlines Flight 11 into the World Trade Center. However, he does not appear to have any operational role in the attacks. More recently, militants arrested in Germany over an alleged plot to stage gun sieges in major European cities reportedly told German investigators that Meziche was the recruiter for the plot. Officials said Meziche was a close associate of Younis al-Mauritani, who Pakistani security forces arrested in September last year in a joint operation with the CIA. That arrest also took place in the Baluchistan region, which borders Iran. U.S. officials said Mauritani was believed to have been plotting attacks in Europe. It is unclear where al-Mauritani is now being held. Baluchistan borders Afghanistan to the northeast and has been a hotbed of militant activity. Pakistani intelligence agents are currently questioning the French national, who has lived much of his adult life in Germany. 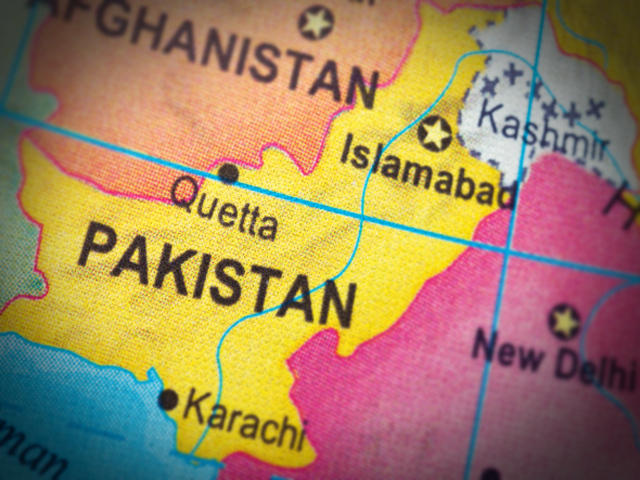 The arrest highlights the Pakistani security forces' key role in the anti-al Qaeda campaign, even as the U.S. and Pakistan are going through one of the rockiest stages in their relationship since the Sept. 11 attacks in the U.S. The Navy SEAL raid on the Pakistan garrison city of Abbottabad that killed Osama bin Laden last year raised questions about whether Pakistani security officials at some level knew of the al Qaeda leader's presence in their country. On the Pakistani side, the raid infuriated the military because it was not told about the attack ahead of time and, once it happened, was powerless to stop it. Tensions increased even further in November when U.S. forces accidentally killed 24 Pakistani border troops, prompting Pakistan to close supply lines to American and NATO forces in Afghanistan. Those supply lines remain closed to this day as Pakistan demands an apology from the U.S. for the deaths. The U.S. has accused Pakistan of not doing enough to go after militant groups operating in its territory. During a visit to Kabul, Defense Secretary Leon Panetta said the U.S. was losing patience with Pakistan over its failure to go after the Haqqani network, considered one of the most dangerous militant groups fighting in Afghanistan. The U.S. has blamed an attack on the American Embassy in Kabul last year on the network. Many analysts believe Pakistan is reluctant to target the Haqqanis and other Afghan militants based on its soil because they could be useful allies in Afghanistan after foreign forces withdraw, especially in countering the influence of India.